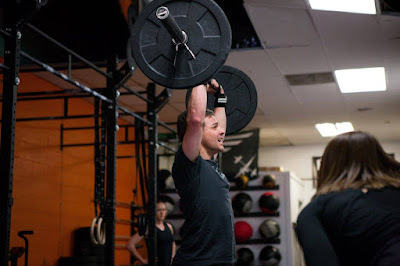 Fitness - I just passed my first year anniversary with CrossFit in February. I started at a new gym (CrossFit Aisling) last October, and soon I was going five days a week. It's hard for me to stay balanced with anything. I start getting goals in my head, and I have a hard time not continually increasing them. Then in February, I realized it was starting to stress me out. I got a nasty cold, felt run down, pulled a muscle, and also felt like I should be putting in more late days at work, so I cut back to three or four days per week. I remembered why I started CrossFit in the first place. It serves me, not the other way around. I'm looking for just the right balance: enough working out to stave off the stress but not so much that it causes stress. Boredom - I've been working on our progress tracking system since last year. It's all on Google Drive right now. Teachers put competency ratings in a single spreadsheet. The ratings get automatically pulled into a series of spreadsheets, where the numbers get crunched, then that data gets pulled into live progress reports that parents and students can see. Now I'm working on transcripts that will pull in that data along with data from the credit worksheets. I'm doing all of this with a combination of Google Apps Scripts and formulas in Google sheets. I really enjoy the problem solving that this involves, but I find I get bored as soon as I figure out the solution and all that's left is ironing out the final product. So I always need a new challenge to keep me interested, I guess. It's the same in every area of my life, I think. Authority - When I started at the Depot, I had grand ideas about collaborative leadership and egalitarianism. I thought that what schools (and society in general) needed was less hierarchy, even between students and teachers, but what I've found is that students need structure--clear rules that are consistently enforced, and this matches the research. There's nothing wrong with authority. As Jonathan Haidt says, an instinct for hierarchy is probably built right into our genes, and authority is legitimate if the authority provides a legitimate service and the leader takes on legitimate responsibilities (provides support) for the good of the whole. I think it's safe to say that I do that for my students. Aging - I turn 46 this summer. I'm slowly coming to terms with what it means to get older and all the changes that come with it: my body changing, my relationships changing, my roles changing. I'm learning to accept these changes. But one of the biggest challenges is that there always seems to be this tension: part of me wants to kick back, relax, and just enjoy the last half of life, look forward to retirement, etc., and the other still wants to improve, achieve more, and grow. I think I understand those who choose the first option, but I can't choose it. I just can't. I'll push until I can't push anymore. Then I'll rest. Mindfulness - I've been practicing mindfulness for about three years now. I do some extended meditation on the weekends, a little bit every morning, and try to be more mindful during the day. I started it as a stress management technique, and I think it helps with that, but I feel like that effect really only works during the meditation itself. I think the biggest impact for me has been greater awareness of what's going on in my head as I go through the day. I notice the way my thoughts are heading and am more likely to question my own thoughts now, rather than assume they are true and let them run away with me. I am also learning to enjoy the moment--to notice little things, like cherry blossoms on the ground, a breeze on my face, or my cool new socks, and for a moment, I can escape from my cares into a little vacation from worry. Actually, that's what a CrossFit workout is, too--a little vacation form worry, but it actually lasts longer. The euphoric feeling after a workout lasts probably an hour or so. There are more than five things I'm learning, but some I'm really just getting started on and others I'm not learning so well. Actually, that's true for all of the above. All of this is imperfect, right? And that's OK. We're learning.